Sat., 11 Jan. - Thu., 16 Jan. Sun., 21 Apr. - Mon., 29 Apr. Fri., 24 Jan. - Tue., 4 Feb.
Fri., 22 Nov. - Wed., 11 Dec. Sat., 23 Nov. - Thu., 12 Dec. 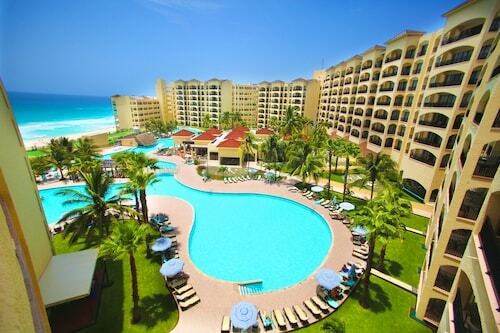 Tue., 28 Jan. - Tue., 25 Feb.
See all 6,170 properties in Cancun Intl. 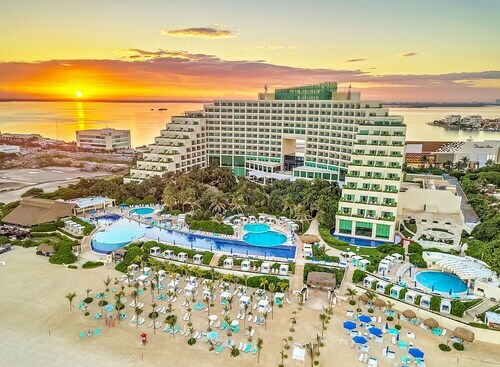 This all-inclusive resort is on the beach overlooking the Caribbean, 8km (5 mi) from Cancun's restaurant and entertainment district, across the street from AquaWorld Marina. 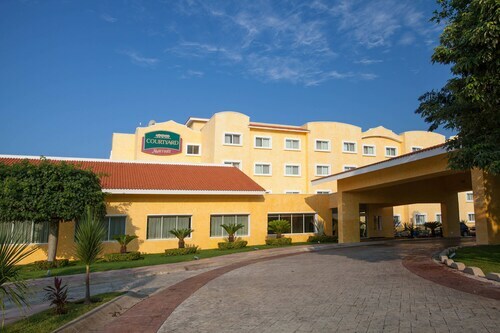 Nestled on the beach, this Zona Hotelera property is within a 15-minute walk of Delfines Beach, El Rey Ruins, and Maya Cancun Museum. Aquaworld is 1.2 mi (2 km) away. 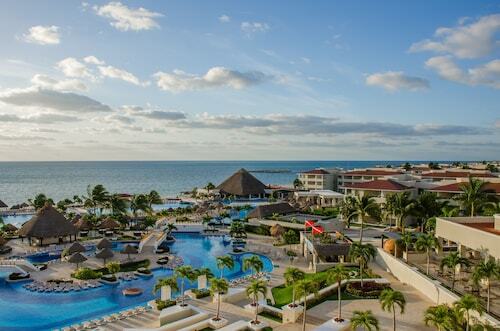 Answer : The cheapest day to fly from Winnipeg to Cancun is on Sunday. So, if you would like to save a bit of cash on your next business trip look for flights on that day. 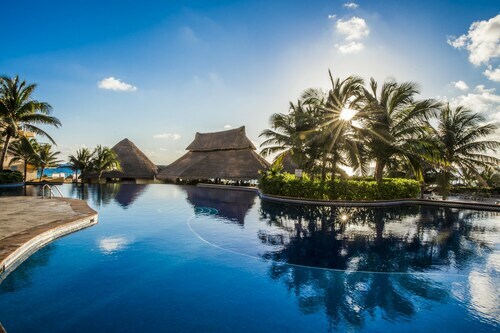 Question : How much time do people spend in Cancun? 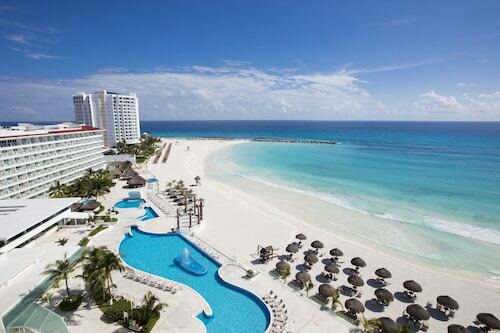 Answer : The average time spent hanging out in Cancun by travellers from Winnipeg is nine days. Question : How long is the flight from YWG to CUN? Answer : This direct flight will whisk you away to your destination in four hours and 45 minutes via Sunwing. If you catch the 12:15 PM CDT departure, you'll arrive at 6:00 PM EST. Allowing you plenty of time to grab a quick lunch (remember, there is a time change of one hour). Answer : Yes, you can switch your departure or arrival date. If you want to save some funds in doing so, the cheapest day to fly in April is Sunday. Question : Which airline has the least delays from Winnipeg to Cancun? Answer : Booking with SmartWings means you will arrive to Cancun about the time you were supposed to. In fact, this airline has an 80% average for getting there on time. It never hurts to be prepared. If you should choose this airline, be sure to track the flight status to stay on top of the departure time. Question : What is the cheapest airline flying from Winnipeg to Cancun? Answer : Delta Air Lines is the leader in keeping costs low for their passengers over the next three months. Bookings are being made at just $506 and, when compared to the more expensive bookings of $1,091, it's a terrific bargain. 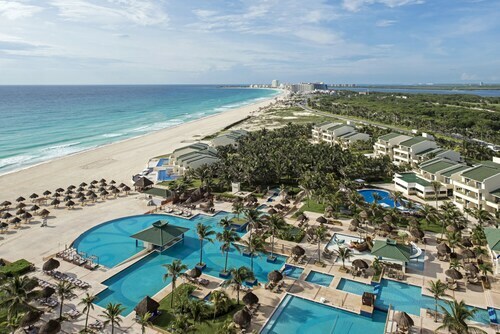 Question : How much is a plane ticket to Cancun (CUN) from Winnipeg (YWG)? Answer : They can range from $506 to $1,091. Booking in advance can normally help you get the cheapest ticket. Don't forget, the sooner you book, the better price you tend to get.